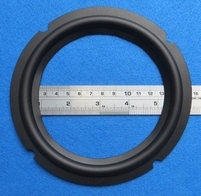 Special durable rubber ring for the woofers in the AR8 series. Also Available in foam. 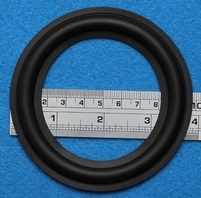 Also available in foam surrounds - this rubber gives excellent results though. 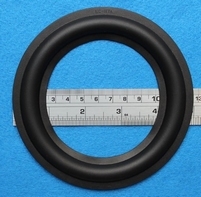 Special durable rubber ring for the woofers in the Akai SR-H400 series. Also Available in foam. 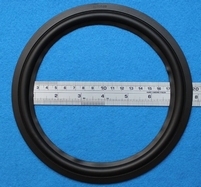 Special durable rubber ring for the woofers in the Akai SR-H500 series. Also Available in foam. 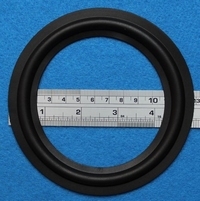 Special durable rubber ring for the woofers in the Akai SR-H800 series. Also Available in foam. 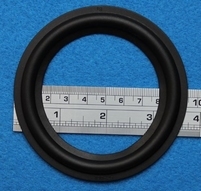 Special durable rubber ring for these Allison units. Als available in foam. Special rubber ring for the woofers in the Audio Analyse Model 7 series. Also available in foam. Note: screw holes to be cut. Special rubber ring for these BBC units with 'KEF-roots'. 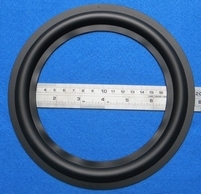 Special durable rubber ring for the woofers in this Castle series. 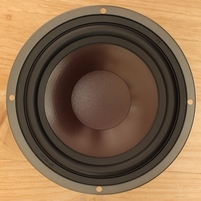 Special durable rubber ring for the woofers in this Celestion serie.